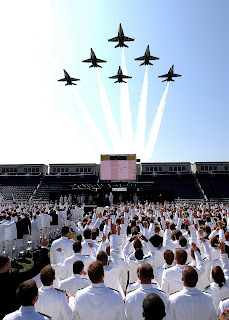 Commencement Week for the US Naval Academy in Annapolis Maryland is a major event for both the Graduates and Midshipman at the Academy, and also for the city of Annapolis. Besides the influx of families and friends of the staff, instructors and the Midshipman, it attracts tourists from all over the United States and the rest of the world. 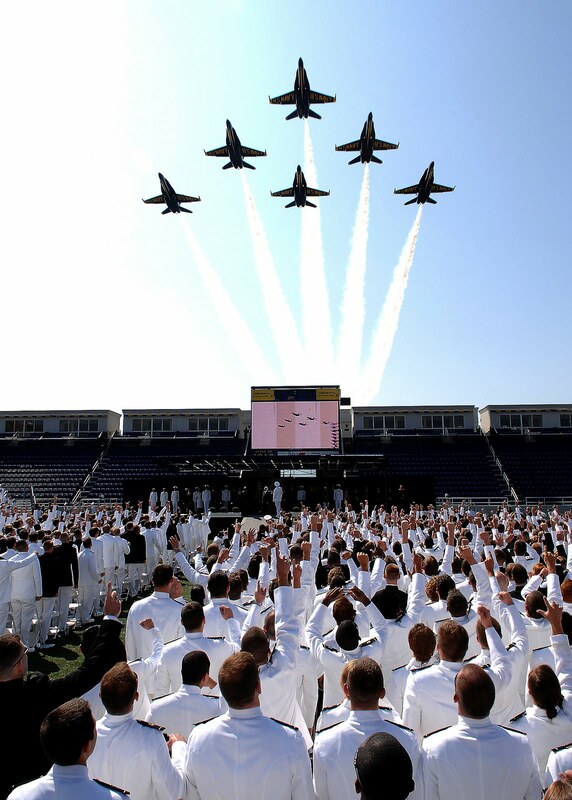 Probably the biggest draw and most anticipated event is the flight demonstration performed by the Navy's Blue Angels precision flying squadron. At the end of World War II, the Chief of Naval Operations, Chester W. Nimitz, ordered the formation of a flight demonstration team to keep the public interested in Naval Aviation. 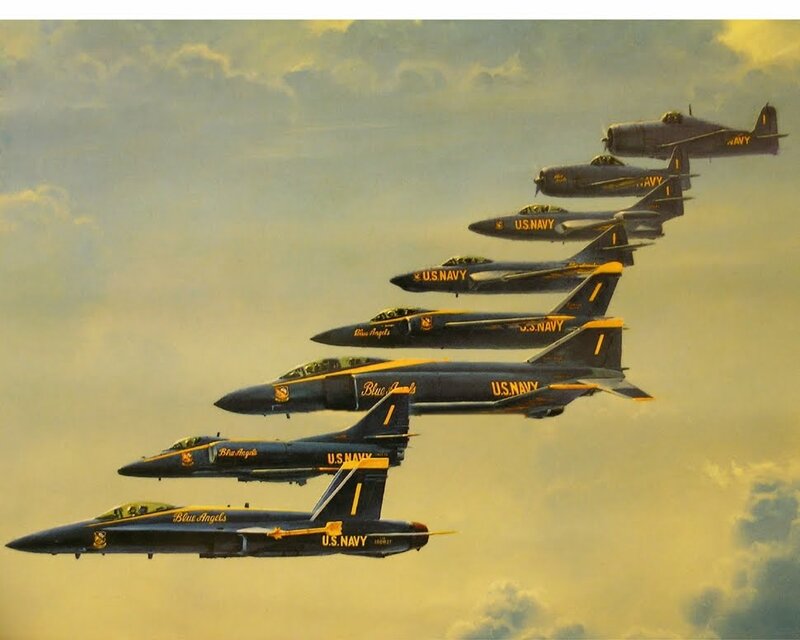 The Blue Angels performed their first flight demonstration less than a year later in June 1946 at their home base, Naval Air Station (NAS) Jacksonville, Florida. LCDR Roy "Butch" Voris led the team, flying the Grumman F6F Hellcat. If there is any one thing that people object to on a boat the most, it is unwanted smells. And as a boat gets older, it develops smells from all kinds of sources. There are volumes of information out there on holding tank and head odors so we did not plan to address them with this minor modification. After almost 20 years of living aboard, we have found that certain areas of the boat can develop odors from trapped moisture and condensation in any climate and any season. A bigger problem that can surface is mold and mildew, which can generate odors and also cause health problems in some individuals. We learned all of these lessons the hard way, and the solutions were actually quite simple. Anyone that has lived aboard or considered living aboard a boat understands the issues with finding enough space to stow all of your life's possessions. The builders and designers of boats are more interested in bragging that their 35 foot boat will sleep 10 and seat 15 for dinner. What they don't provide is space on the boat to store the bedding for 10, nor the dishes and provisions to feed 15 people. 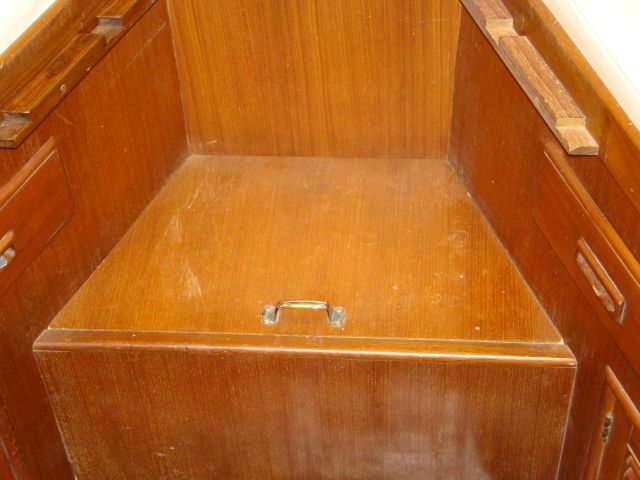 In almost every boat there is a great deal of wasted space along side the hull, behind steps and cabinets and many other areas. So we boat owners need to get very creative if we don't want to spend the dollars for a very large boat just to haul all of our stuff. With every boat we have purchased, we spend the first hour sitting in the main salon asking one question. 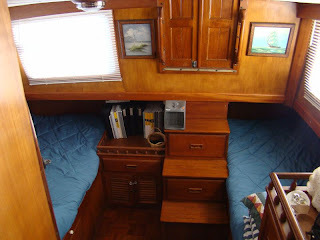 Where will we put everything we need to be comfortable and enjoy cruising. If we can not quickly answer that question, we move on to the next boat. Unfortunately, work has seriously interfered with the boat projects and this winter saw very few of the items on my todo list get done. One project that we did start before the blizzards set in was to redo the shower in the forward head. We had converted the head into a shower when we first moved on the boat but it was a temporary fix and we did plan on a more permanent finish later. Later began in December after the boat was hauled and we moved ashore. I began taking the old Formica like material off of the walls and planned to replace it with FRP panels that would look better, be completely waterproof and easy to clean. These are the typical panels found inside many shower enclosures.